Our world cannot survive without water. As essential as water is to living, it can also be the source of many problems when it comes to our homes. When water penetrates places where it is not welcome—such as the basements of our homes—we may have real problems. Foundation Solutions 360 has provided basement waterproofing services in the Michigan area for more than twenty years and we offer transferable warranties in the event that you sell your house. You can use our transferable warranty to your advantage by informing your potential buyers that your basement has been serviced by a highly experienced foundation repair and basement waterproofing contractor. Foundation Solutions 360 recommends that all homeowners protect their homes by investing in basement waterproofing. This is critically important if you have started to see evidence of water infiltration, the build-up of mold, or if you smell a musty odor in or around your Michigan home. If these signs are present in your basement, they could be indicators of far more serious water related issues. Our basement waterproofing services comes with a guarantee of satisfaction and effectiveness. 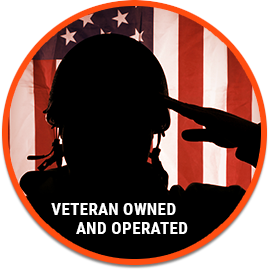 We are veteran owned and operated, and our licensed and insured contractors do all of our work themselves. We do not hire subcontractors. Foundation Solutions 360 only uses patented products for basement waterproofing and foundation repair which are all guaranteed for life. You can rest easy when you partner with us knowing that you will not have a water problem in your basement ever again. If water problems in your basement are left unchecked, your foundation can deteriorate. 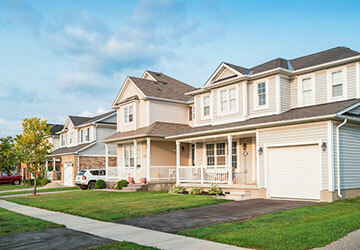 If your foundation is compromised, your entire home is vulnerable. Foundation Solutions 360, with our unique approach, provides excellence in basement waterproofing that other companies simply cannot match. We approach every waterproofing job as a problem that must be solved. We also understand that the cost of home repairs and maintenance can be stressful. So, we work to figure out the best possible approach to solving your water problems while minimizing the impact on your bank account. Basement waterproofing in Michigan is needed for a number of reasons, namely because of the climate. Michigan gets a lot of snow during the winter and a quite a bit of rain at other times of the year. If your home is older, or if the landscaping around your home does not direct water away from your foundation, it can and will find its way into your basement. If you’re currently experiencing these issues, feel free to reach out to our team of Michigan basement waterproofing experts at Foundation Solutions 360. If you would like to speak to a member of our team about basement waterproofing in Michigan, give Foundation Solutions 360 a call today at (855) 532-5360 to schedule a basement waterproofing evaluation.